The way forward in life…. Glycolic acid peel treatment is a specific technique for skin renewal which involves the application of a chemical that causes a shedding of the surface skin layers. Subsequently a new skin layer is formed which is both healthier and less mottled. This treatment is ideal for treating and reducing skin damage, fine lines, dull skin tone, enlarged pores and hyper-pigmentation and can successfully treat superficial discoloration, blemishes and scars, acne spots and troublesome blackheads. Many skin problems are caused by or are associated with an excessive build-up of dead skin cells that makes the skin appear thick and dull and may cause the clogging of pores. A Glycolic peel will help to loosen and remove this surface, whilst promoting more even pigmentation and deeper skin firming effects. 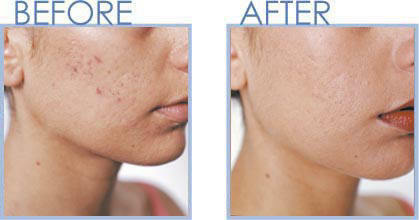 This procedure can also help the skin to appear smoother, healthier, plumper and tighter. We ask that all Clients use a form of Glycolic at home prior to peels a minimum of 2 weeks to prep the skin. Please note we offer a staggered payment system… please ask for details.